London-based Standard Chartered bank has agreed to pay $327 million in penalties to U.S. authorities for violating international sanctions. 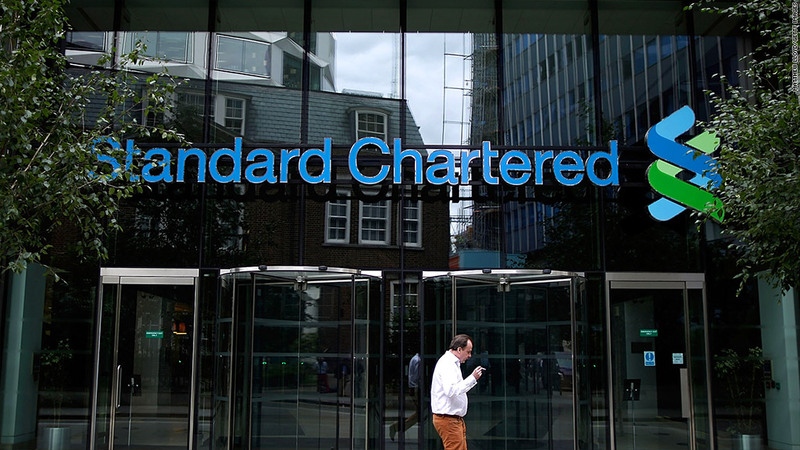 U.K. bank Standard Chartered agreed to pay $327 million to U.S. authorities Monday to settle charges it violated international sanctions on transactions with Iran, Burma, Libya and Sudan. The U.S. Treasury Department said the bank's London and Dubai offices illegally stripped critical information from financial transaction records between 2001 and 2007. The bank took names of customers from these countries, and replaced them with special characters, so other banks were not able to see where the transactions were coming from or where they were going. In a statement, Standard Chartered admitted it had handled $24 million of transactions on behalf of entities in Iran and a total of $109 million in the other nations against which the U.S. had imposed sanctions. While not a household name in the United States, Standard Chartered is a major global bank. It is based in London, but has offices in the United States, subjecting it to U.S. banking laws and regulations. Standard Chartered said it had since done a review to comply with sanctions. "In the more than five years since the events giving rise to today's settlements, the bank has completed a comprehensive review and upgrade of its compliance systems and procedures," it said. In August, the bank had agreed to pay a $340 million civil penalty to settle money-laundering charges brought by the New York Department of Financial Services. At the time, Benjamin Lawsky, the superintendent of New York's top banking authority, came under fire for acting unilaterally. The New York agency was not party to Monday's settlement. Other agencies that were part of Monday's agreement were the Federal Reserve, the U.S. Attorney's Office for the District of Columbia, the Department of Justice and the New York District Attorney's Office. The Fed will get $100 million of the fines, while law enforcement agencies will get the remaining $227 million. Treasury's share of the fines will go to the Justice Department. The Treasury Department has imposed more than $2 billion in fines since 2005 on a number of foreign banks for violating U.S. sanctions, including a $617 million criminal fine against ING Bank (ING) in June. Lloyds Bank (LYG), Credit Suisse (CS), Barclays (BCS) have also been fined for laundering money for Iran, North Korea, Sudan and other nations under U.S. sanctions. HSBC (HBC) was accused in July by Senate investigators for failing to prevent billions of dollars in transfers for drug cartels and terrorist groups. Shares of Standard Chartered (SCBFF) were only slightly lower in New York trading Monday following the announcement, and were slightly higher in London trading.